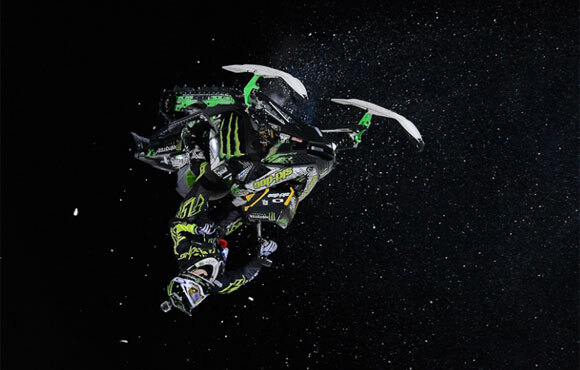 Ski-Doo riders had a successful weekend at the Winter X 2013, earning seven medals in the snowmobile competitions. 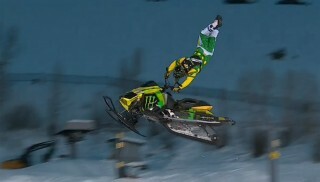 Joe Parsons topped all snowmobile competitors, collecting medals in each of the three events he entered, including silver in Freestyle and Best Trick. Parsons stepped up his game to carry the torch when his teammate and defending Best Trick winner Heath Frisby suffered two hard practice crashes on Thursday. Frisby was forced to withdraw from the Freestyle competition and limped through the Speed and Style event, in which Parsons earned the bronze medal. Frisby did take part in Best Trick on Sunday night and appeared to have a winning run when he threw out his signature Underflip, but judges saw it differently. In his second run, Frisby tried to raise the bar even higher with a variation, but was unable to land the trick. Still, Frisby earned a bronze medal for his efforts. Parsons then unleashed his Gator Wrestler backflip and added a new twist by landing it backward to the roar of the crowd, earning the silver. In Snocross, Tim Tremblay raced to the first medal of his career finishing third and collecting the bronze. Tremblay was third off of the start and held his position throughout the race with a sizable margin over fourth. That position belonged to Warnert Racing’s Emil Ohman who battled back and fourth for the position before closing it out for his best career finish at Winter X.
Sweden’s Petter Narsa was competing in his first X Games and made an impressive debut in fifth, giving Ski-Doo three of the top five spots. Mike Schultz put himself among rare X Games company, winning his fourth gold medal and third straight in Adaptive Snocross. Although Schultz is a perennial favorite in the event, the feat was not accomplished without drama. In the morning practice session Schultz crashed, badly damaging his sled. Virtually everyone in the snocross pit area came to his aid, as mechanics from Warnert Racing and Scheuring Speed Sports stepped in to get Monster Mike to the starting line on time. Then, as the Adaptive final launched, Schultz tangled with another competitor and tipped over in the first turn restarting last. As the laps wound down, Schultz picked off competitors, making the pass for the win with one lap to go. Garret Goodwin rounded out the podium in third, competing in his first X Games.